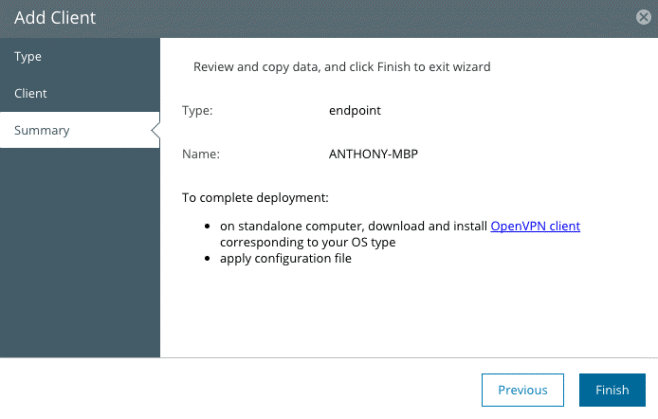 When the inaugural Veeam Innovation Awards (VIA) were launched, we as a company were excited to see what may come as a result. We will announce the winners at VeeamON in Chicago, but there is something bigger going on here. 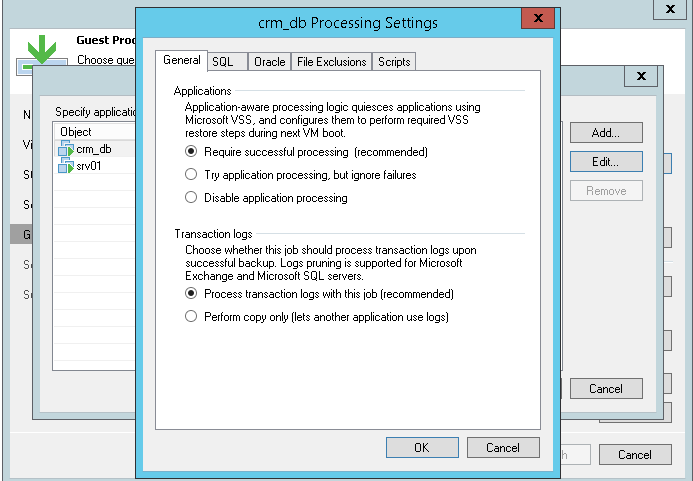 One of the things that makes Veeam different is its partners. 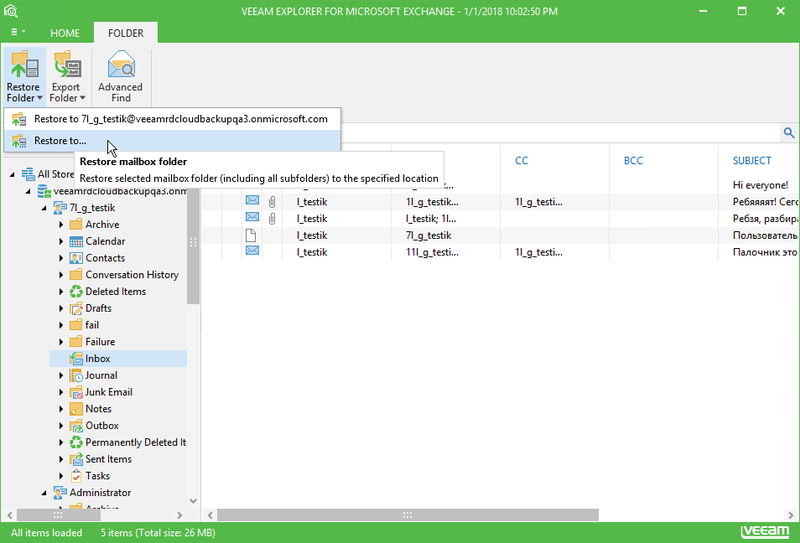 So much so, that I like to say that partnerships are in Veeam’s DNA. And it’s true. Everything we do revolves around partners. Whether the partner is in the sales channel, a service provider, an alliance partner, a distributor, or a services or integration partner; it’s clear: Veeam is all-in with partners. When you look at it this way, it’s pretty clear to see what I mean by Veeam has partnership in its DNA! That’s why partners and solutions from our partners made available by Veeam are candidates for the award. What will the Veeam Innovation Awards bring in 2018? That’s actually part of the mystique — we don’t know! 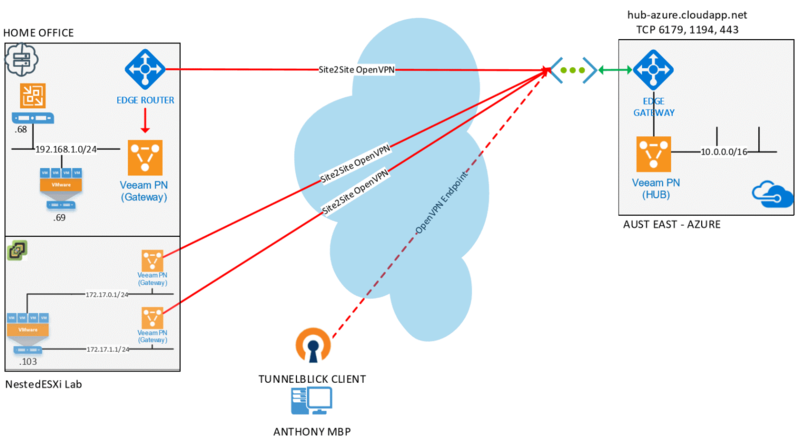 We’ve seen some incredible entries, nominations from customers and partners, as well as some keen observations from the Veeam team on what is being done in the field. If you haven’t submitted your nominations yet, do so now. Nominations are open only until April 30, and the winners will be announced at VeeamON. Who knows, you may win, nominate a winner, or even discover a new use case that solves an Availability need you may have! 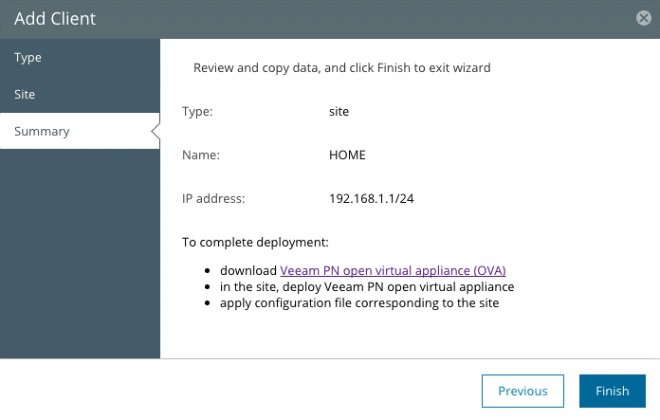 The post Last chance to nominate for Veeam Innovation Awards appeared first on Veeam Software Official Blog. 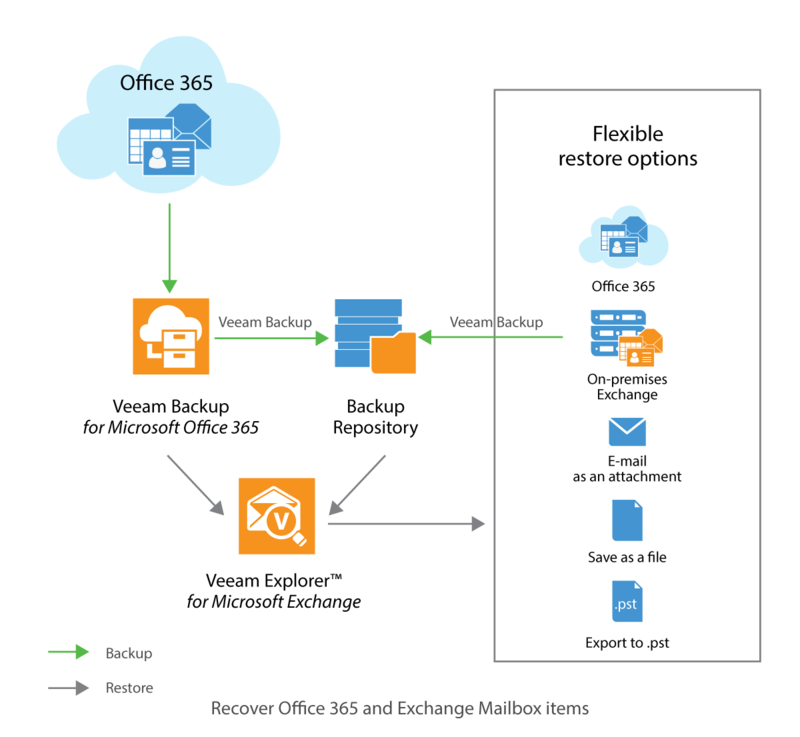 The post How to protect both Microsoft Office 365 and Exchange mailboxes appeared first on Veeam Software Official Blog. 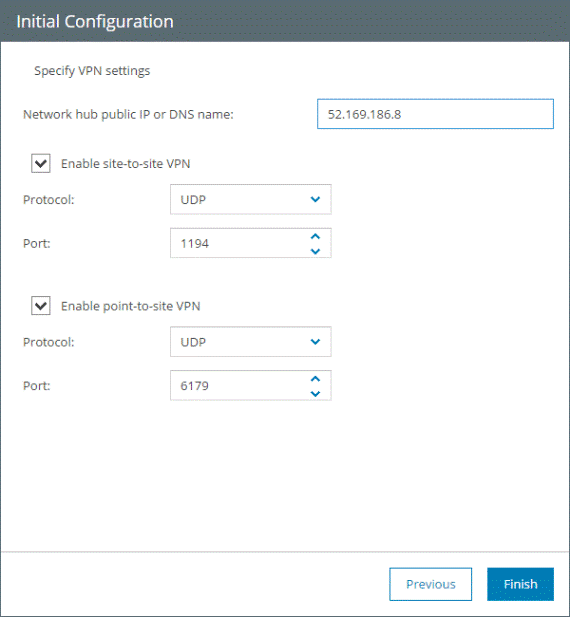 The post Simplified remote access for home labs and offices with Veeam PN appeared first on Veeam Software Official Blog. 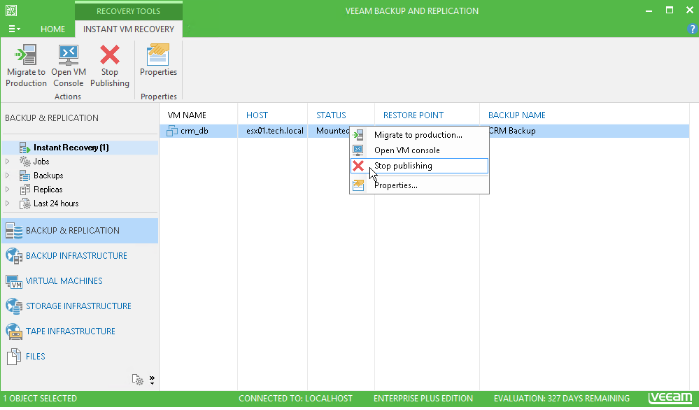 Veeam is storage agnostic and supports several types of backup repositories. Over the years, it was proven that a Windows or Linux physical server with internal storage gives the best performance in most cases. You can check Veeam Forums for more details — years later, these words still stay true. 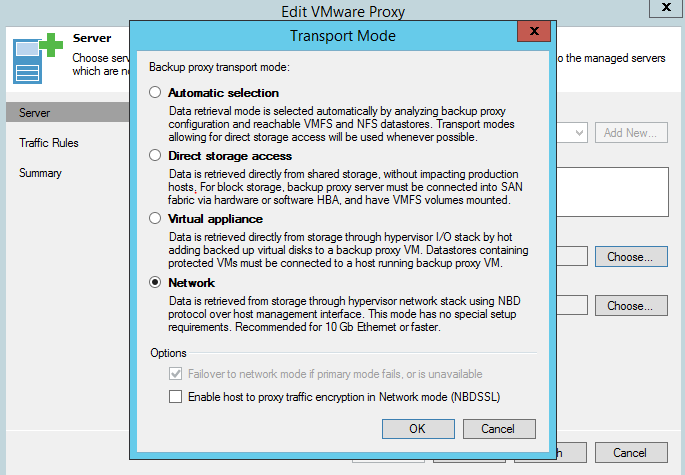 You can find more info on using tapes with Veeam Backup & Replication in my previous blog post. We encourage you to carefully check the Severity criteria and set an appropriate level when opening your support request. 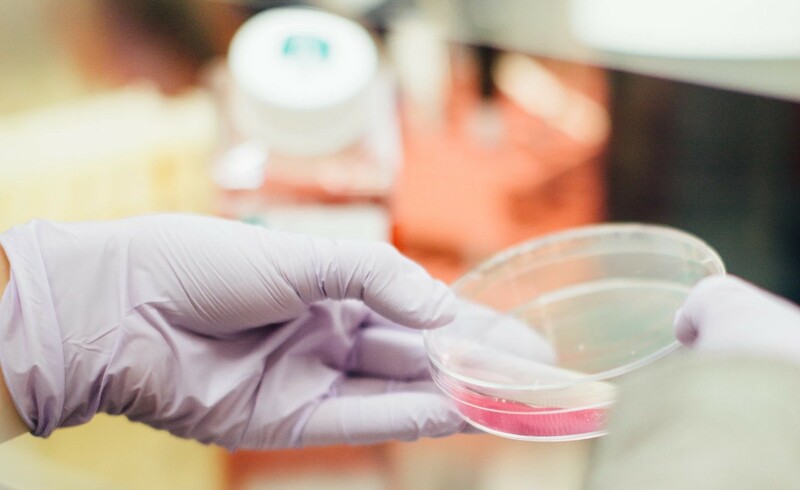 We understand that each issue, no matter the scale, is important and it is our duty to handle it in the quickest way possible, but if you set the Severity to 1 and it doesn’t meet its criteria, you will lose valuable time since your ticket will be inspected and re-directed to an appropriate queue. Figure 8. 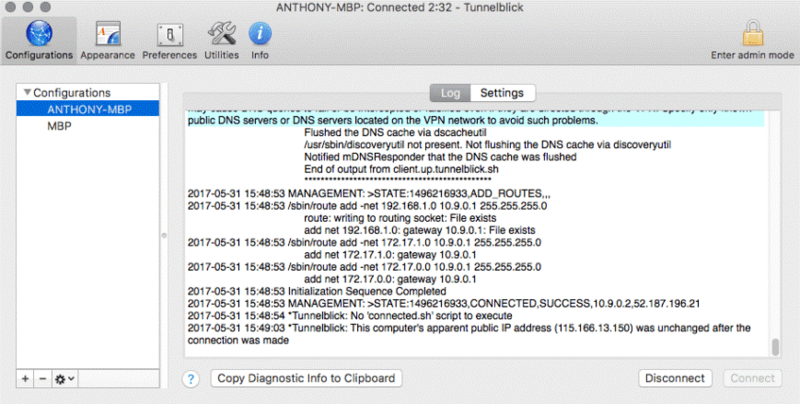 When creating a case be sure to set the severity level correctly and upload the logs bundle. 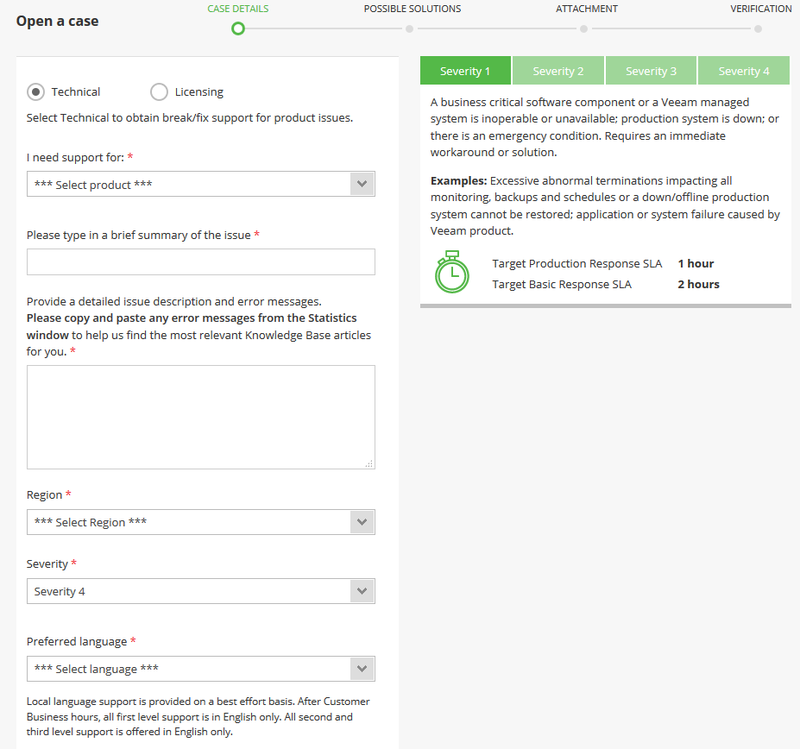 To help our support agents get to the root of the issue straight away, make sure to compile the backbone of every successful case investigation: a log bundle. Follow our guide to retrieve them in a correct way. 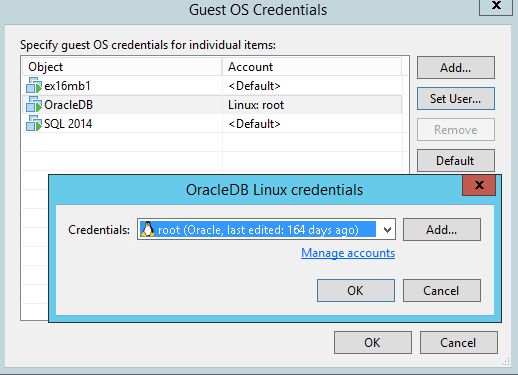 In some occasions, we might require logs from additional components of your infrastructure, but those would be requested by your support engineer directly. And that’s it for today’s episode! 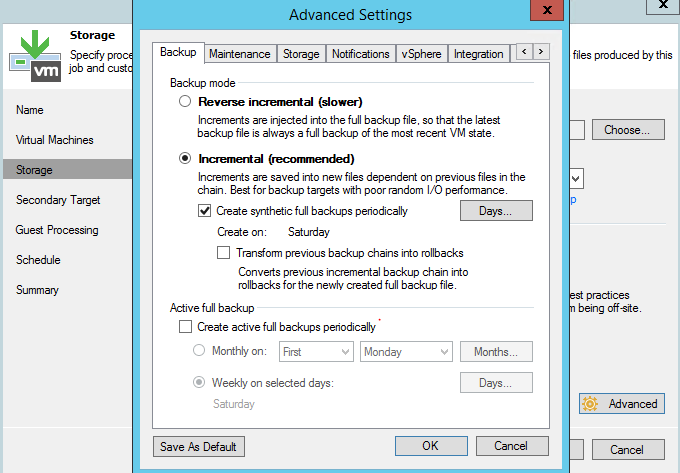 I hope this would help you optimize your backup environment and evade the most common mistakes during a setup. 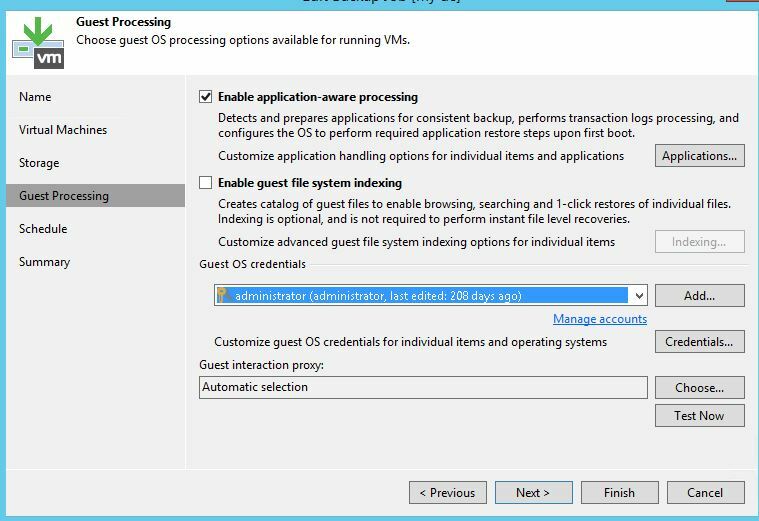 The post How to avoid typical misconfigurations when setting up Veeam appeared first on Veeam Software Official Blog.